Where We've Been Recently . . .
Postponed--Check back for new dates! A message from Sherry . . .
"All my classes explore not only technique, but color placement, texture within a design, and finishing. My classes are meant to stress techniques and encourage students to explore their own 'inner artist.' I invite you to join me in seeing where your exploration will take you!" What Sherry says about this project . . .
“This is a large cuff that could also be made into a necklace, if desired. 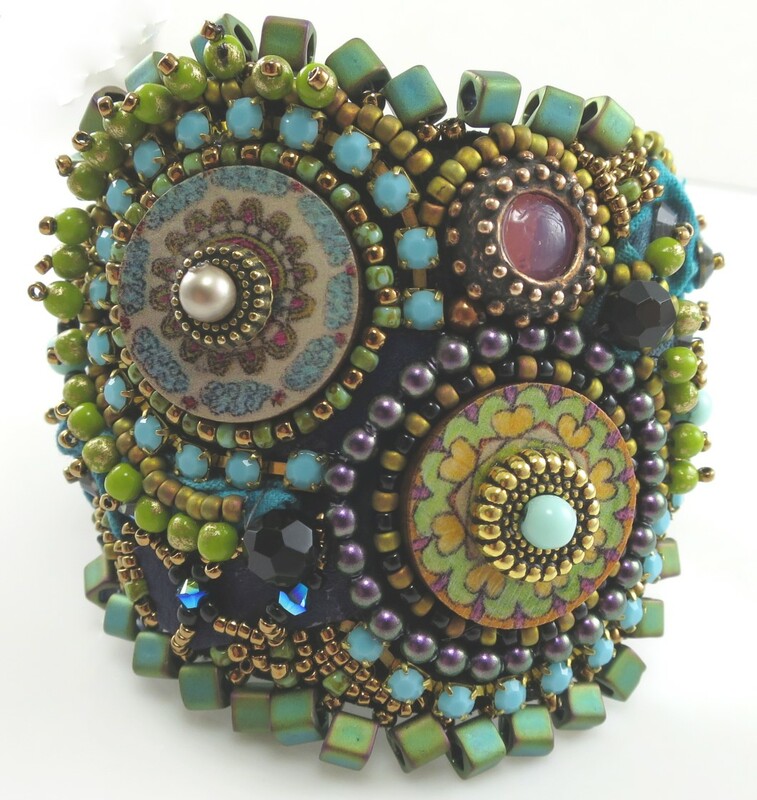 Students will create a highly textured cuff using piggy beads, daggers, cup chain, variety of embellishment beads. Techniques used include backstitching, peyote stitch, brick stitch, embellishment, and fringe. Cuff closes with a slide on Elegant Elements clasp." Note: Purchase of a kit is not required, but highly desireable due to the unique items used in this project. You will create a beautiful pendant using facing moons made of carved bone (each set is different as they are hand carved). 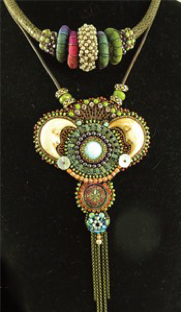 Half-Tila beads, cupchain and Swarovski crystals, a button of your chosing also enhance the piece to make it your own. The finished project will hang by a leather cord. Techniques used include backstitching, peyote stitch, brick stitch, embellishment, and fringe. The piece is done on separate layers and then pieced together. "This is a design-oriented class with NO pattern! It's a total "play day" when it comes to this workshop in which you will make a personalized, one-of-a-kind cuff that’s uniquely yours! The project utilizes buttons, leather, silk, Annabronze© metal, cupchain, and seed beads. A ‘design’ oriented class with NO pattern. It also can easily be made into a pendant. 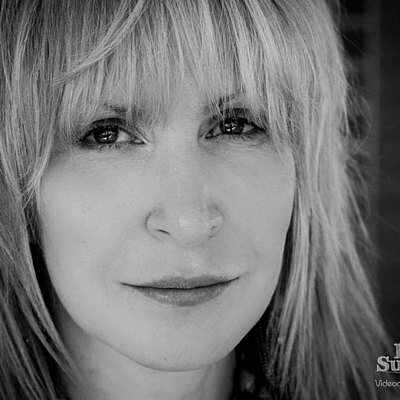 About Sherry Serafini . 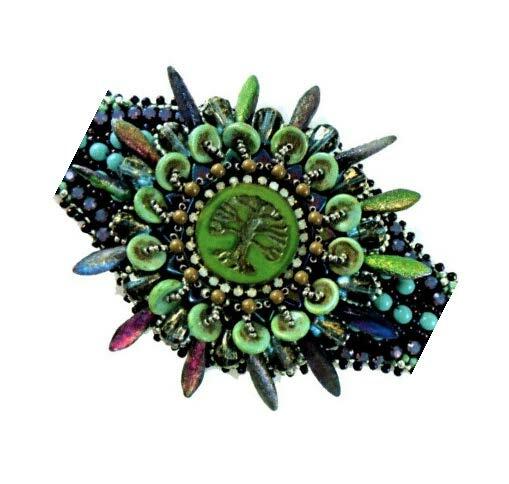 . .
Sherry’s beaded art is known internationally and is owned and worn by Grammy winner Melissa Etheridge, Steven Tyler of Aerosmith, Lenny Kravitz, and Fergie of the Black Eyed Peas. Check out her work aon her webpage.